\\\\\\\\\\\\\\\\\\\\\\\\\\\\\\\\\\\\\\\\\\\\\\\\\\\\\\\\\\\\\\\\\\\\\\\\\\\\\\\\\\\\\\\\"The storybook Cinderella sits and waits for her prince charming to come. 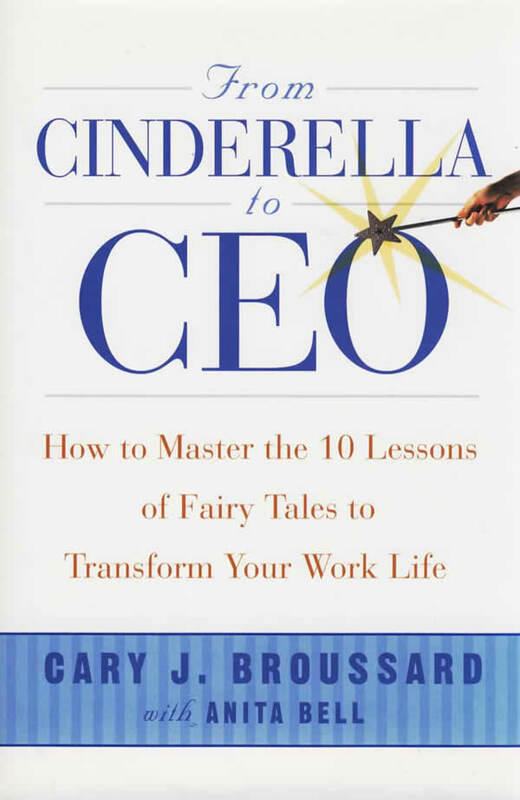 From Cinderella to CEO is a rewrite for modern day Cinderellas. This book tells women to climb on their own horse and ride to their destiny. It's full of great road maps on everything from how to survive a wicked boss to how to surround yourself with swans!\\\\\\\\\\\\\\\\\\\\\\\\\\\\\\\\\\\\\\\\\\\\\\\\\\\\\\\\\\\\\\\\\\\\\\\\\\\\\\\\\\\\\\\\"
\\\\\\\\\\\\\\\\\\\\\\\\\\\\\\\\\\\\\\\\\\\\\\\\\\\\\\\\\\\\\\\\\\\\\\\\\\\\\\\\\\\\\\\\"Cary Broussard has produced a great compass for women who are navigating their journey through work life. This is a primer that turns fairy tales into actionable road signs that will transform starry-eyed neophytes into seasoned professionals. This book is much more than a 'yellow brick road' map. It is an atlas that not only helps the reader plot her successful course; but, it also underscores ways for managing a successful career, as well as identifies road markers and landmines that could derail a career. It is a must read.\\\\\\\\\\\\\\\\\\\\\\\\\\\\\\\\\\\\\\\\\\\\\\\\\\\\\\\\\\\\\\\\\\\\\\\\\\\\\\\\\\\\\\\\"
―Esther Silver-Parker, Vice President of Diversity Relations, Wal-Mart Stores, Inc.
\\\\\\\\\\\\\\\\\\\\\\\\\\\\\\\\\\\\\\\\\\\\\\\\\\\\\\\\\\\\\\\\\\\\\\\\\\\\\\\\\\\\\\\\"If you have aspirations to be successful and happy in your career, then From Cinderella to CEO is the book for you! Cary Broussard has decoded folklore and articulated a play-by-play game plan to help women win in the ballgame of business. And best of all, this fairy godmentor wisely refers to cutting edge twenty-first century thinking by interpreting business as pleasure!\\\\\\\\\\\\\\\\\\\\\\\\\\\\\\\\\\\\\\\\\\\\\\\\\\\\\\\\\\\\\\\\\\\\\\\\\\\\\\\\\\\\\\\\"
\\\\\\\\\\\\\\\\\\\\\\\\\\\\\\\\\\\\\\\\\\\\\\\\\\\\\\\\\\\\\\\\\\\\\\\\\\\\\\\\\\\\\\\\"From Cinderella to CEO offers something for everyone. No matter which rung of the corporate ladder you are perched upon you will appreciate Cary J. Broussard's fresh perspective on women in the workplace. Whether you are just starting out, mentoring a new hire, or thinking about starting your own business you'll look at things differently after reading this book. Broussard understands that while work styles may vary by gender, these differences complement each other and savvy employers and employees will prosper when both styles are encouraged to flourish.\\\\\\\\\\\\\\\\\\\\\\\\\\\\\\\\\\\\\\\\\\\\\\\\\\\\\\\\\\\\\\\\\\\\\\\\\\\\\\\\\\\\\\\\"
作者简介：CARY J. BROUSSARD is nationally known for her work in bringing women's groups together and uniting them to share a common focus. She is one of the top advocates for women in diversity and business, and is well known for creating Wyndham's WOMEN ON THEIR WAY® program, credited with improving travel services for women everywhere. Broussard is a sought after speaker on the lecture circuit and has been seen on CNN, ABC, CBS, and NBC. She has also been quoted extensively as an expert on women in business in major newspapers and magazines.